Gordon Korman, the author of over seventy middle grade and teen novels, is here tonight with the first book in a thrilling new high-concept middle grade series. Mastermind kicks off the story of a group of kids who discover they were cloned from the DNA of some of the greatest criminal Masterminds in history for a sociological experiment. Bring your young reader down tonight and discover a great new series from a prolific and bestselling author! Gordon Korman has written more than seventy middle-grade and teen novels, including the New York Times bestselling THE 39 CLUES: CAHILLS VS. VESPERS BOOK ONE: THE MEDUSA PLOT; the Swindle series; UNGIFTED; the Island series, POP; SCHOOLED; NO MORE DEAD DOGS; SON OF THE MOB; and many other favorites. Gordon lives with his family on Long Island, New York. Can't make it to the event? You can order a signed, personalized copy of this book. We ship worldwide. Simply write "SIGNED COPY" and the name for the personalizations in the Comments field during checkout. Thank you for supproting George Friedman and your local independent bookstore! On a foggy night in Amsterdam, a man falls from a rooftop to the wet pavement below. It's Alfie McQuinn, the notorious cat burglar, and he's dying. As sirens wail in the distance, Alfie manages to get out two last words to his young son, March: "Find jewels." But March learns that his father is not talking about a stash of Loot. He's talking about Jules, the twin sister March never knew he had. No sooner than the two find each other, they're picked up by the police and sent to the world's worst orphanage. Jude Watson is a pseudonym for the 2008 National Book Award finalist, Judy Blundell. Jude Watson is currently the most celebrated author in the prequel-era of the Star Wars phenomenon. She's no stranger to science fiction — her own series, entitled Danger.com, is a mystery series based on the Internet. In Gordon Korman's The Hypnotists 12-year-old Jackson Opus doesn’t know it, but he’s the most powerful natural hypnotist on earth. At first, Jax thinks his new talent is beyond awesome. How would you feel if you could make anybody do whatever you want them to? But the reality turns out to be a little more complicated. What will his remarkable abilities be used for? That’s the big question for Jax as his hypnotic gifts draw him into a conspiracy that has him racing against time to save his best friend, his parents, and the entire free world. THIS EVENT HAS BEEN CANCELLED DUE TO TRAVEL COMPLICATIONS. Kids in Grades 3-6! Get your FREE copy of Swindle at any St. Louis Public Library Branch beginning March 31 (while supplies last). Then “pass it on”—share your copy of Swindle with a friend. You and your friends can meet Gordon Korman when he discusses his book at Central Library on May 13. When Griffin is cheated out of a million-dollar baseball card by a sleazy collector, the only way to get it back is to steal it. Swindle introduces a dream team of kids who perform blockbuster-movie-style operations—from stealing back the baseball card, to freeing mistreated animals from a cheesy zoo, to hiding a lovable but unstable (and occasionally vicious) Doberman from its unscrupulous former owner. Gordon Korman discusses The 39 Clues: Cahills vs. Vespers Book One: The Medusa Plot. Gordon Korman is currently considered a "single author." If one or more works are by a distinct, homonymous authors, go ahead and split the author. 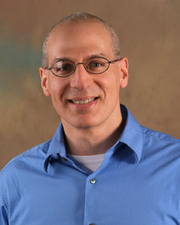 Gordon Korman is composed of 6 names. You can examine and separate out names.